Looks good J.D. ! How does that Windlass transitional Viking handle? Also, were you able to straighten/modify the DT2130's cross while it was in place or did you have to disassemble it? The Windlass is one of my sentimental favorites, kind of like your DT2130. 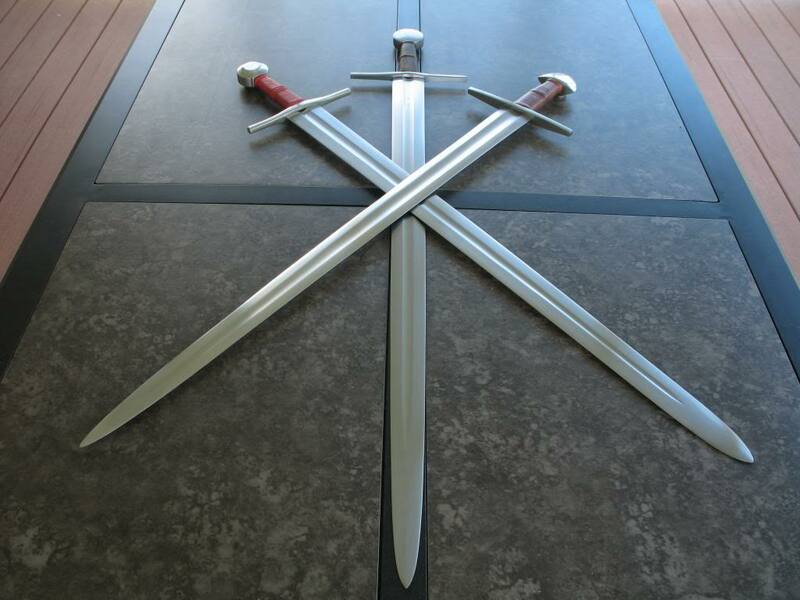 It actually handles quite well, less from PoB (which is quite far out) than from mass distribution, in part owing to more of a distal taper than one sees on most their swords. 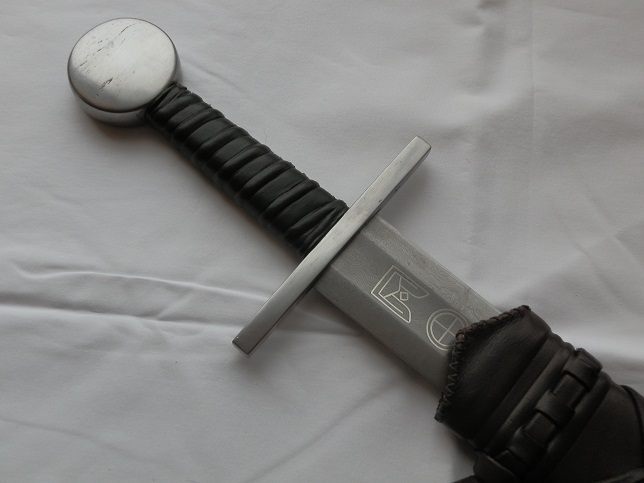 The Del Tin modification was done by Eyal at Darksword. Apparently it was tough to get apart. 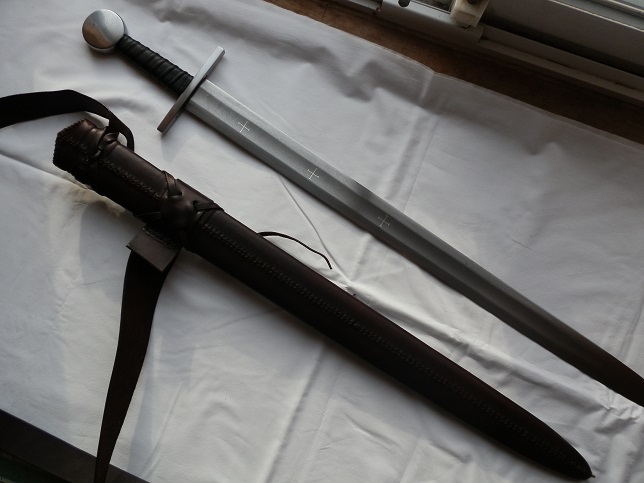 He needed a machinist to remove the pommel, and then he replaced the cross with one of his straight models (from the Crecy sword). Since I already had the long version 2130 this was more or less an experimental project - I plan to let it go soon. Discount the sword on lower left. Is that an Albion Senlac on the bottom right with a added cross? A&A Custom X (original in Switzerland). A&A Custom XIIIb (composite of originals found in Eastern Eastern Europe). A&A Custom XI (composite of originals found in Central Europe). In quest of offbeat pommel types, I seem to have sold off all my disc pommels. That should be corrected - I do like I and H pommels very much. Very nice array there J.D. I think you might have a theme going! 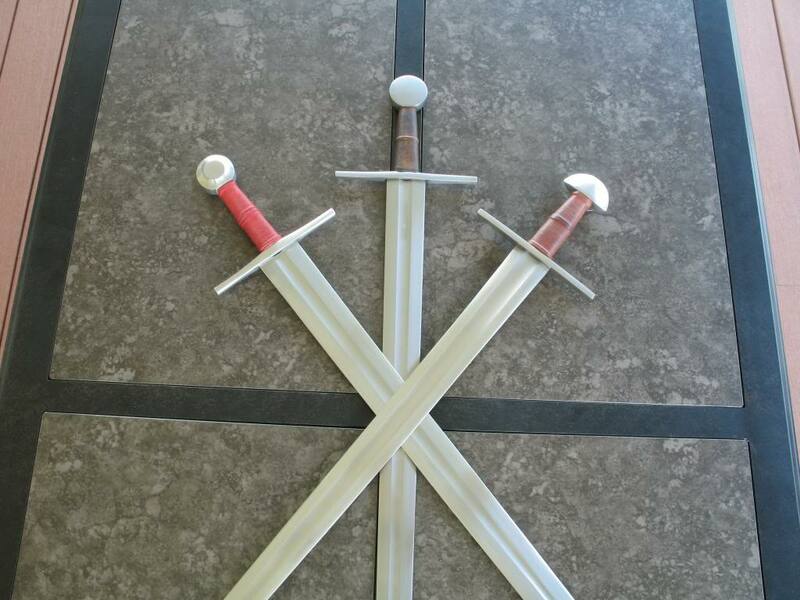 Here are some of my Crusader era swords. The title is a stretch for a couple of them. 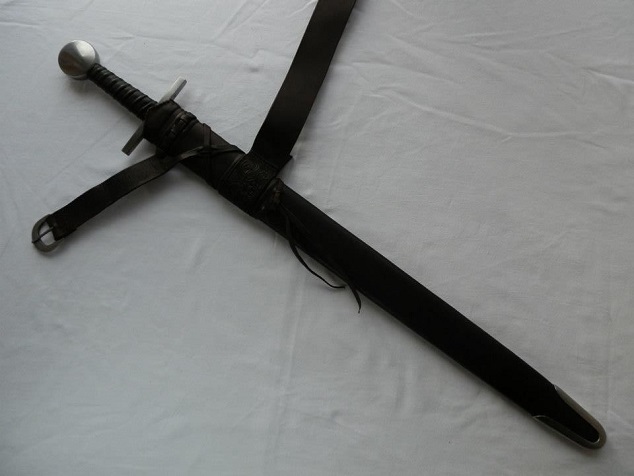 DT5144, XV often called a "late Crusader sword"
Crusader era swords are my absolute favourite swords, and there are some very nice ones in this thread. 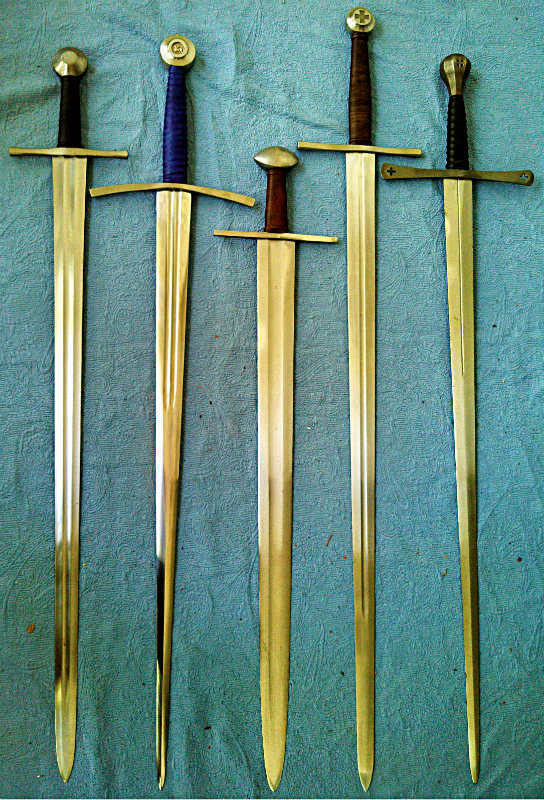 I have a couple of longswords, but only one crusader era sword, made by Jeff Helmes earlier this year. 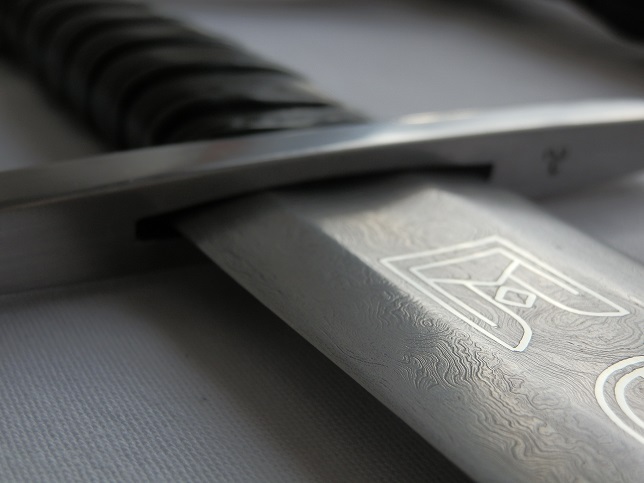 I chose Jeff because of his fantastic inlay work, as well as the fact he made the blade out of materials that would appear identical to a sword of this period. That's an absolute beauty Taylor! 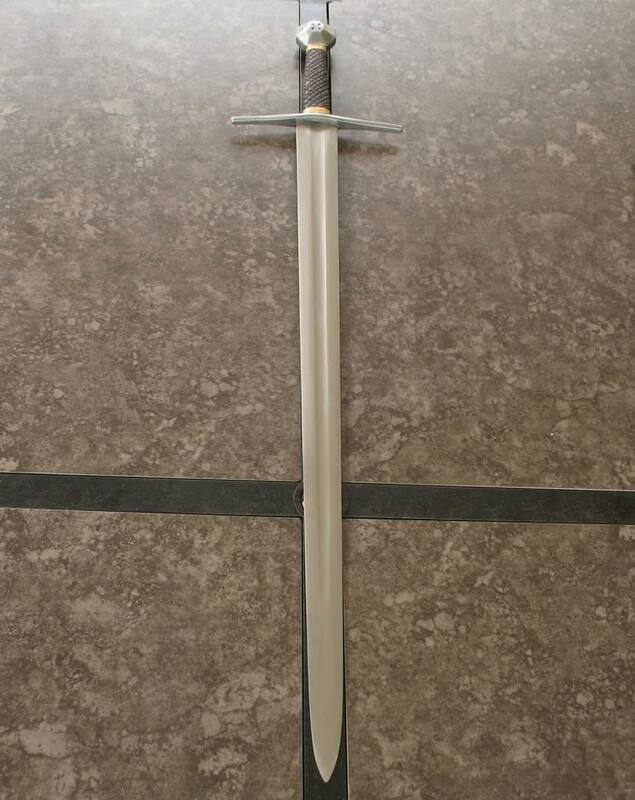 My very first (and only) sword. 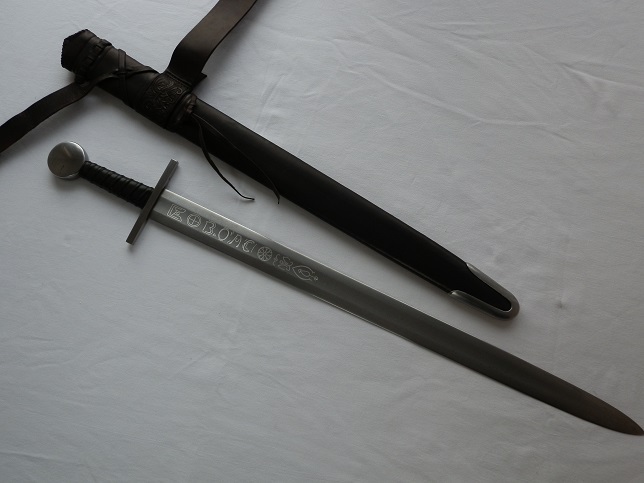 A Coinpommel by Pavel Moc, the sister-sword of his Hastings (which has a brazil nut). 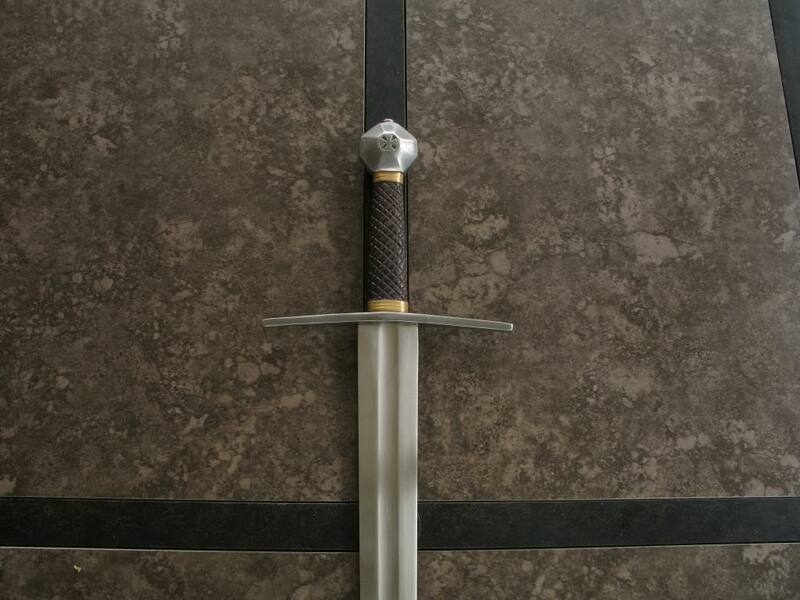 The blade is hollow ground with an edge about 2mm thick. The grind is deep and something about the blade geometry gives her a somewhat deeper tone when vibrating. The scabbard is made from 0.7mm plywood strips wrapped in linnen and covered in waxed linnen and a blue thread made from wooden fibre, the method is period, the materials would prefferably be leather and birch/linden, but I did not have an awful lot of time on my hands when I made it, and it has served me so well that I haven't taken the effort to make it ultra-proper yet. Ahh, I too love this period. 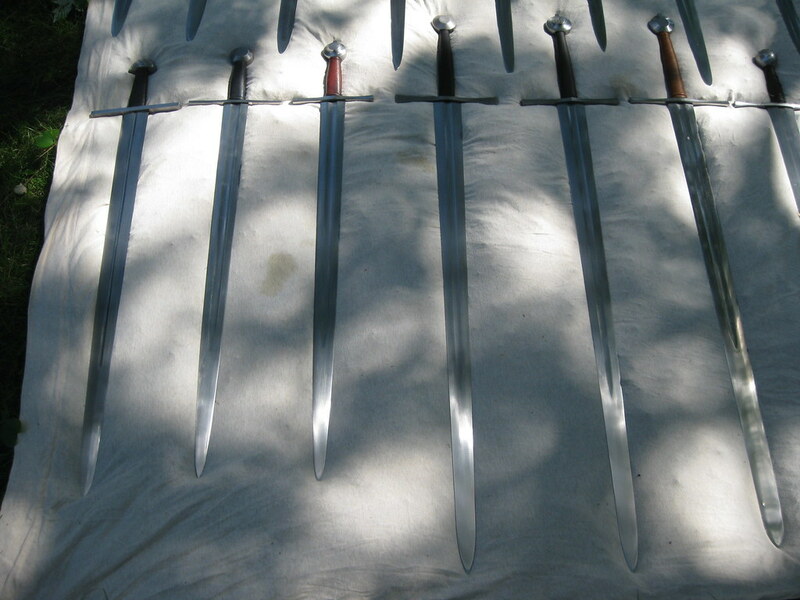 Here are my crusades era swords. First, the group shot arranged by Oakeshott classification. 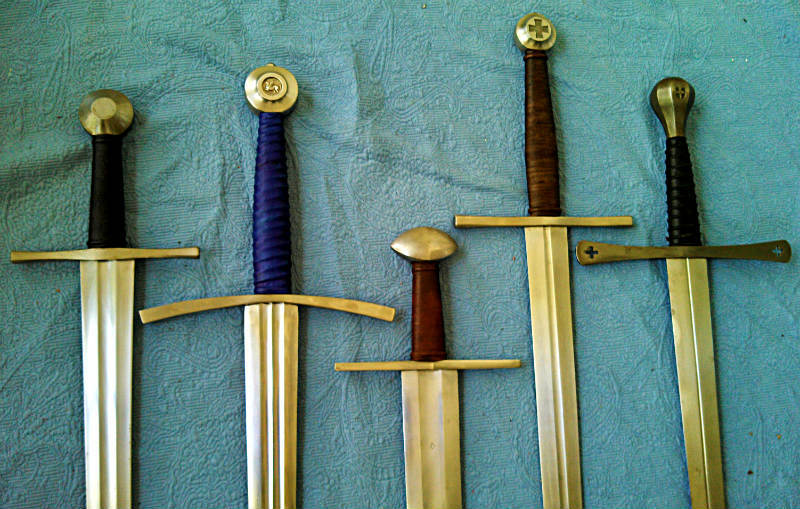 Albion Reeve, Vigil, custom Del Tin 2133, Albion Gaddhjalt, Arn, Norman, St. Maurice of Turin, Templar, Oakeshott, and Ritter. 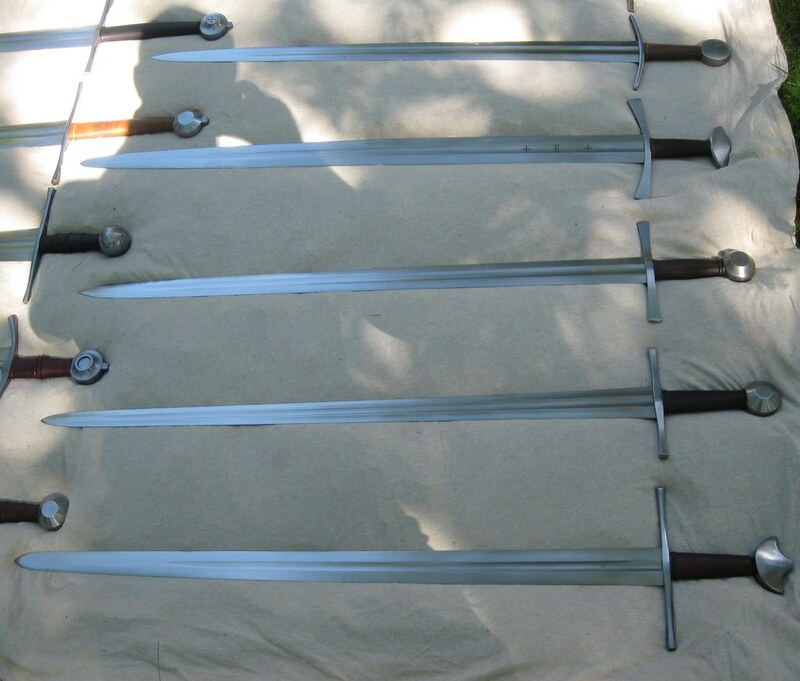 Custom Ollin type XII, Albion SL Knightly, Knight, SL Great Sword, Baron, Duke, Tritonia, Sovereign, and Vassal. 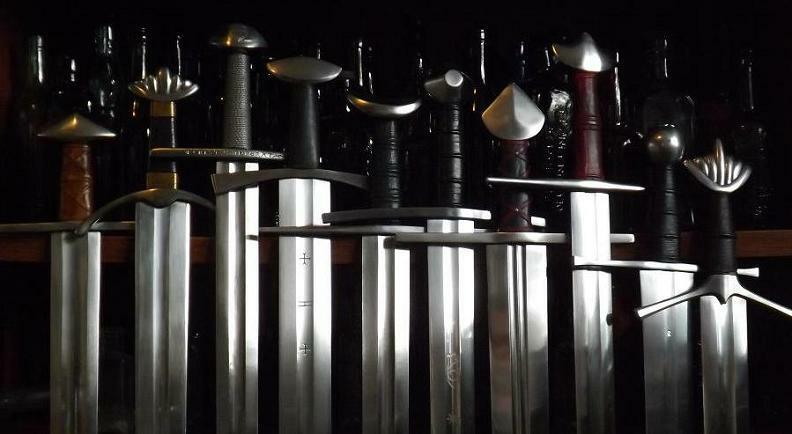 That sword, 2nd from top left, double fuller. That's the best sword in your collection What's you actual favorite though? 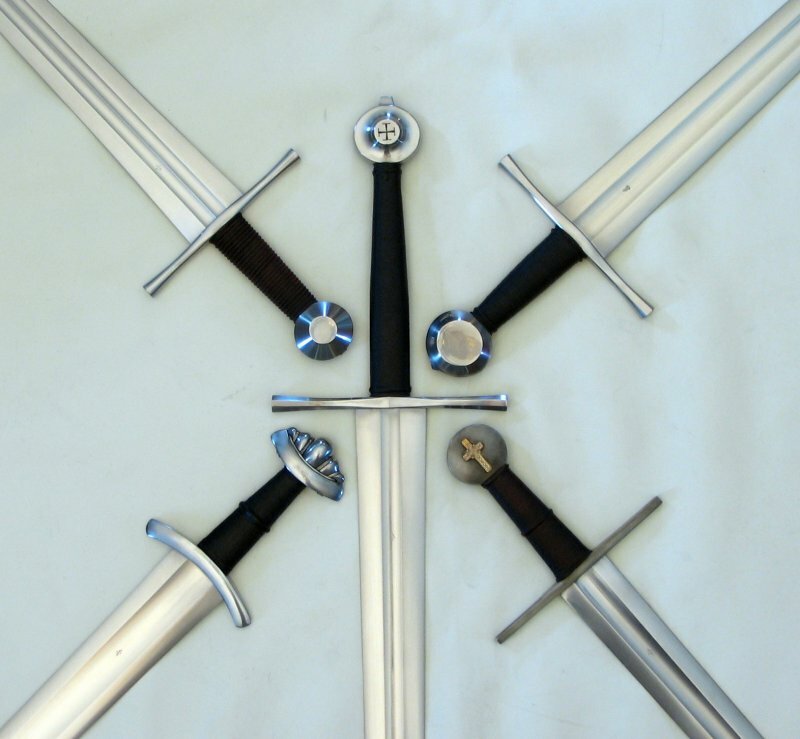 I don't have anything to contribute yet but seeing all these swords has raised a question for me - how common would longswords have been in this period? 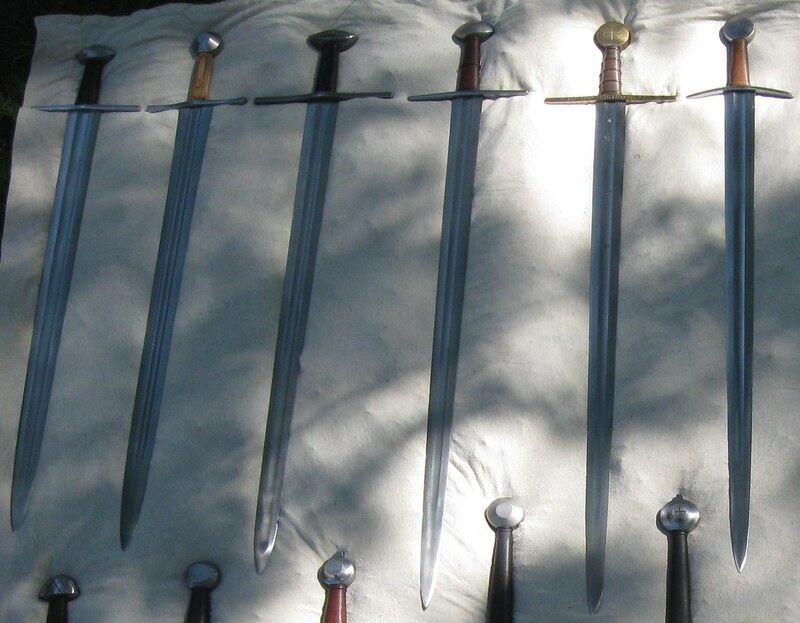 I always assumed longswords wouldn't have been as common in the 12-13th centuries but based on the number of Albions I see here they must not have been as uncommon as I'd thought. 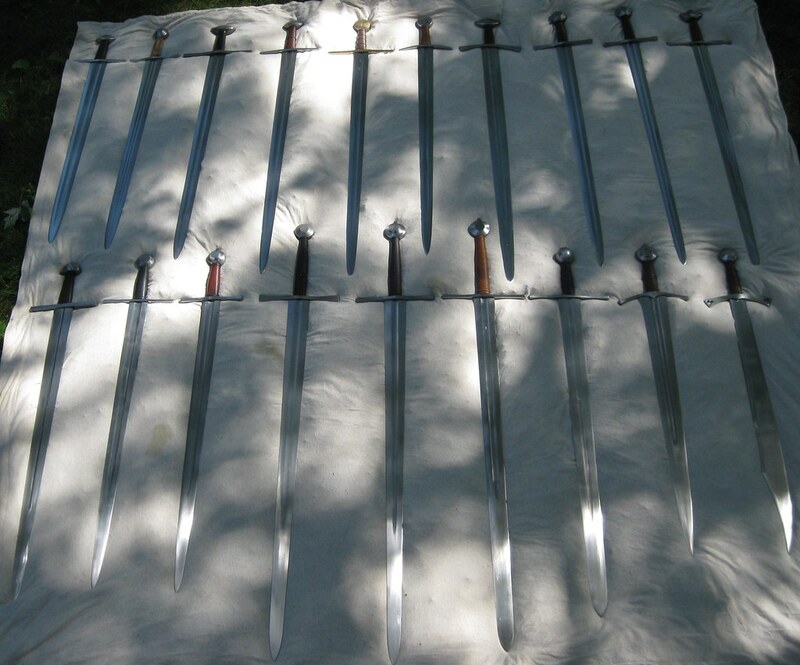 Well, some swords shown here couldn't be used in real Crusades but rather later Egyptian or Turk crusades, that's what confuses you. 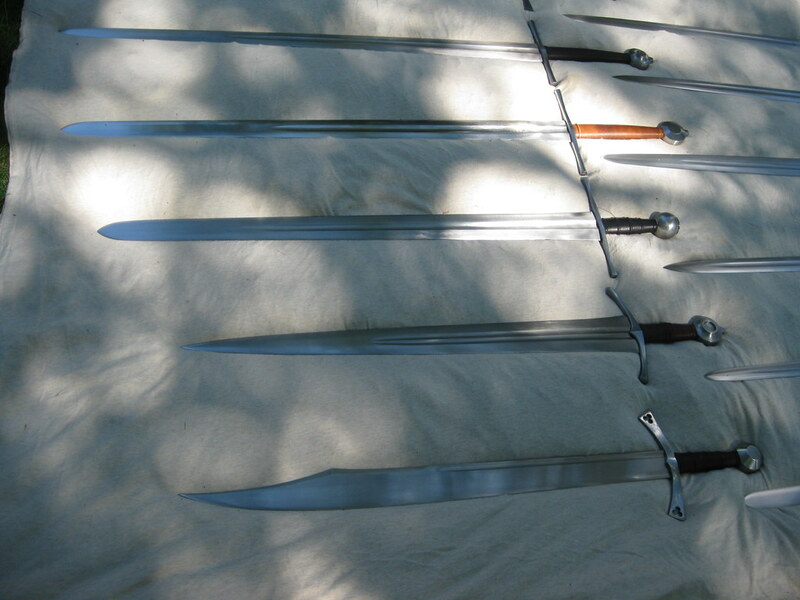 I think these would all fit into the right time period for one of the early Crusades.